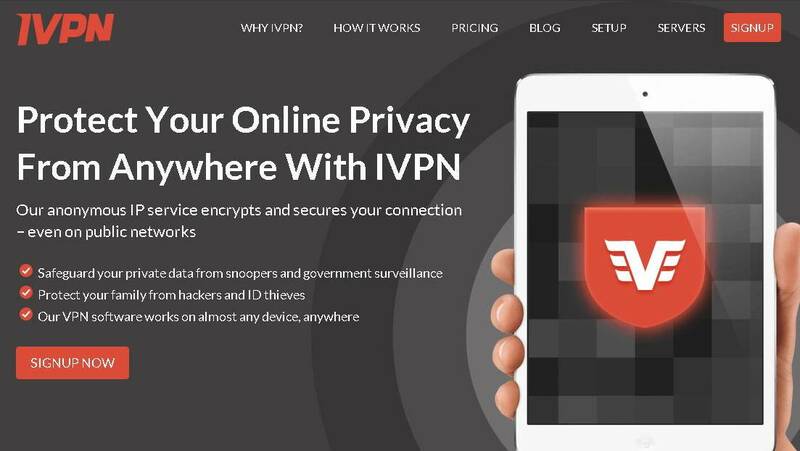 If you are looking for a reliable VPN service with a lot of great features and a website which will immediately inspire confidence, IVPN may be exactly what you are in the market for. 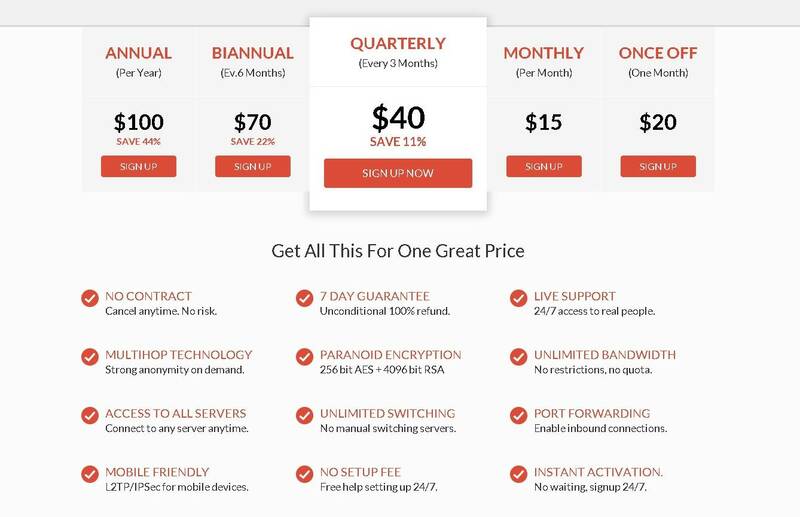 This Malta-based VPN includes a risk-free 7-day trial and a number of flexible payment plans. The biggest downside is probably the fact that IVPN is pretty expensive compared to a lot of other VPNs. Some users have also reported some minor bugs with the program itself. All in all, though, this appears to be a very solid service offered by an upfront, trustworthy company. 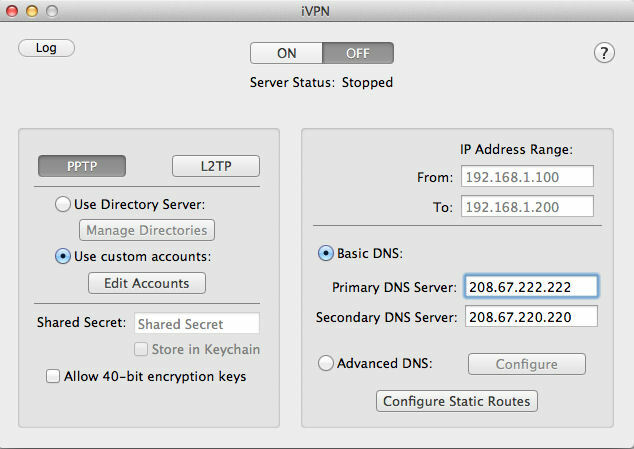 IVPN is a unique VPN in that it is a “multihop” VPN, rather than a singlehop VPN. In other words, your data is being routed through two or more VPN servers in different locations, rather than a single server. This is an excellent privacy feature, since a hacker would have to launch timed attacks on severs in different jurisdictions to intercept your data rather than just a single attack. This can slow down your speeds, but if you need the speed and not the privacy, you can switch to a singlehop connection at any time. The multihop functionality still isn’t perfect (there seem to be some connection errors), but it gives you some added flexibility that you won’t get from just any VPN. So say for example you are surfing the internet in Brazil. Your traffic might be routed through a server in the USA and then another in the Netherlands. The destination server will think you are from the Netherlands, not the USA or Brazil. That’s how a multihop connection works. • You do not want your ISP or others tracking your online activities. IVPN will prevent others from intercepting or logging your online activities, and will protect your private data from hackers. • You need to access blocked services. This might include blocked sites on your network or blocked streaming content in your country. 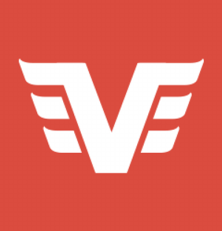 • You want to boost your connection speed, and/or you want a faster VPN than you are using now. IVPN puts a special emphasis on offering all their users high speeds, not just those who are engaged in P2P uploading and downloading. Sometimes those users slow down other VPN connections. Microsoft Windows: Windows XP, 7, and 8. Because all of the above operating systems are supported, you can use this VPN service on pretty much any device, including your Windows laptop or desktop computer, your Mac computer, or your iPhone, iPad, or Android device. Apparently using L2TP over IPSec for iOS can be a bit tricky since you need to enter in a key, but after you get through this step, setup should be relatively simple. There is no free version of IVPN; it is a paid program only. There is a 7-day risk-free trial period, but you do need to pay up-front. Paying annually comes out to around $8.34 per month, which is comparable to many other VPN services. Since the trial period is only 7 days, I do suggest that you try the service out for just a month before you decide to buy a larger package. Note however that none of the packages (including the monthly package) carry a contract. You can cancel anytime. If you are not 100% satisfied with your experience with IVPN, you can request a full refund anytime in the first 7 days after the service is activated. You do not have to explain your reasons. The company states they considered extending this to a 30-day period, but decided not to because some users might abuse this policy. There does not appear to be any official information on the number of IP addresses available in the IP address pool, but IVPN has servers in the United States, Canada, the United Kingdom, the Netherlands, Germany, Romania, France, Switzerland, and Hong Kong. This is not an extensive amount of diversity and may not be the best option if you could use more servers in Asia (or Oceania or South America), but if it is sufficient for your needs, IVPN may be a good choice. There is no bandwidth limitation on IVPN. This is true regardless of which package you purchase. So this is a great choice for downloading, gaming, or watching multimedia. Your only bandwidth restriction will be that which is imposed by your ISP. IVPN has a nice, simple, clean user interface which offers plenty of options, but is already configured for beginners. It looks great on all devices, and like the website, provides a professional impression of the service. While disconnects are seldom reported for IVPN, there are a few possible errors you may want to be aware of. Some users report connection failures when going through the “multihop” connection options. Some routes work fine, while others produce an authentication error. Whether this issue has been remedied since it was reported is unknown. Most users report that the upload and download speeds are pretty good while using the singlehop connections. Actually, they look to be comparable to disconnected speeds, which is quite a bit faster than many VPNs, which may cause a significant slow-down. The multihop connection however will probably slow down your speed significantly. You may want to just use the multihop connection when you really need the extra anonymity, and stick with the singlehop connection for everything else. You might have a very hard time downloading, gaming, or streaming on the multihop connection. You have a selection of different protocols you can choose from on IVPN, including OpenVPN, L2TP and PPTP. Encryption up to 256-bit is available + 4096 bit RSA. Because IVPN is located in Malta, they do not have to retain logs of your activities. This is quite reassuring, as this is not the case for all VPN services. Additionally, IVPN will send out an encrypted “warrant canary” once a month. This is a cryptographically signed message which declares that no warrants have been served on the company and no seizures have taken place. It will include current news headlines confirming the date. This is a nice extra step that we have never seen another VPN take to assuage customer concerns about privacy. It seems like it still relies on an honor system, but at least they want to keep their customers in the loop about anything going on with the authorities. If you need help while setting up or using IVPN, you can scroll down to the bottom of the page and view the Support FAQ. There are different sections for Billing, General, Passwords, Privacy, Windows, Mac OSX, and GNU/Linux. The company provides a real street address on their contact page, and includes a form which you can use to email the company and direct your inquiry to the appropriate department (sales, technical or billing). The company states on their page that they respond to all inquiries within 24 hours. It would be preferable if they provided a phone number and/or a live chat line so you could speak to a live agent, but this is one of the few significant drawbacks with IVPN. If you are thinking of becoming a paid customer, I would recommend that you test-drive the customer service yourself before you commit. Send a random question through their online ticking form, and see how quickly you get a response, and how helpful the answer is. If you have a good experience, you can proceed from there to purchasing the service. There are a lot of reasons to get excited about IVPN. From the moment you navigate to the company’s website, you should be impressed. All the information you could want is easy to find, and the company has a very professional presentation. You will see the same professionalism, clarity, and ease-of-use in the program itself, no matter what device you use it on, and you will find setup fast and easy. IVPN’s cost is higher than many competing programs, but if you purchase the annual package, you will be getting an excellent deal. Bandwidth is unlimited for all users and download and upload speeds are quite fast if you are going through the singlehop connection. While it would be nice if the multihop connection were faster (and had fewer connection errors), it is just great that this connection option is offered at all for the purposes of flexibility and privacy. IVPN seems to take privacy very seriously, and appears to be a trustworthy business. If you don’t mind paying a little extra for quality, IVPN looks like an excellent choice.